The Westwood Little Holmby home at 352 Dalehurst Ave., LA CA 90024 lasted a brief 21 days before receiving an accepted offer on 7/28/09. 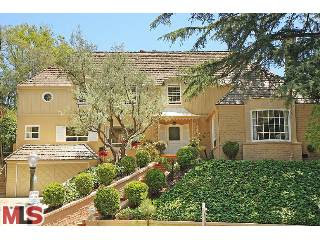 The home was listed on 7/7/09 with an asking price of $2,495,000. With the brief listing period, there was not any price reductions. The home closed on 9/17/09 for $2,300,000. According to the MLS, the home is 4 bedrooms / 3.5 baths, 3,116 sq ft of living space on a 9,410 sq ft lot. 352 Dalehurst had an impressive rear yard, but needed updating on the interior.